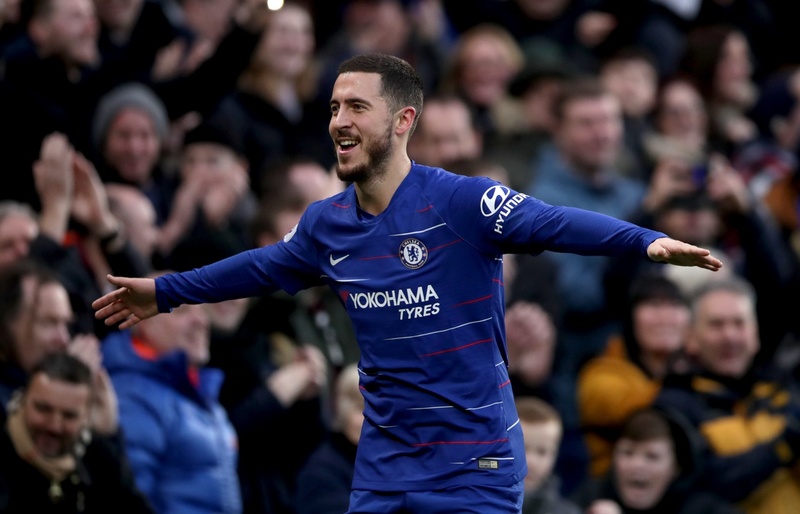 Real Madrid are closing in on a club-record £100 million deal for Chelsea star Eden Hazard as Zinedine Zidane looks to transition the club away from the Cristiano Ronaldo era, according to reports by Sky Sports. Hazard has publicly expressed his desire to play for the Spanish giants repeatedly over the past few years, but until recently the Madrid board believed to have been split on funding a move for the Belgian. “Real Madrid is the best club in the world, I don’t want to lie today,” Hazard said in an interview late last year. Zidane has always been a strong admirer of Hazard and it is believed he will finally be given the green light to bring the 28-year-old to the Bernabeu, as Madrid look to fill the enormous void let by Ronaldo. Sky Sports are reporting the club are extremely confident of securing Hazard in the summer, whose contract runs out at the end of the 2019/20 season. Any move would likely depend upon Chelsea being able to successfully delay or overturn a transfer ban handed down to them by FIFA for failing to register youth players. Should the west London club be unable to replace Hazard due to the ban, they may be forced to let his contract wind down and risk losing him for nothing in the summer of 2020. Chelsea signed Borussia Dortmund winger Christian Pulisic for £58 million in the January transfer window, a deal that will be triggered at the conclusion of the current season. UEFA Europa League – a prime betting opportunity!